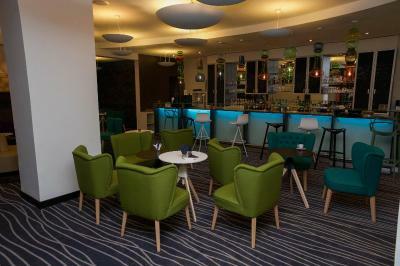 Lock in a great price for Best Western L'Oree – rated 8.3 by recent guests! 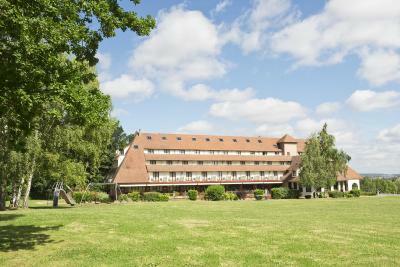 Nice cosy hotel with good clean and well maintained rooms on the country side. Half of the rooms with balconies to the south. Beds are on the firm side. Good restaurant. Plenty of free parking, secured by electric gate. Very comfortable bed. Charming reception and restaurant staff. 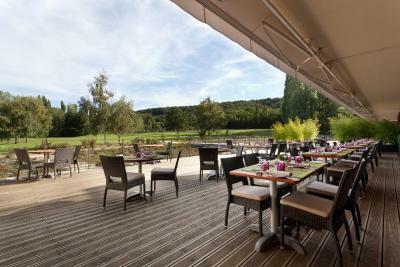 Fabulous location, it did not seem possible that the Paris motorways were just a few kilometres away. Nice steam room, Sauna was broke when i was there. The breakfast is always very good. Service and presentation excellent. Das Frühste war ok, die Auswahl hätte mehr sein können, z. B. bei der Wurst und dem Schinken, die ganze Woche dasselbe geboten bekommen, dass war langweilig. Das Bett war sehr bequem, dass Zimmer war zwar ok, wir haben das kleinste Zimmer vom Haus bekommen, aber es war trotzdem noch groß genug. Das Bad war erneuert worden und modern. Top. Das Personal war sehr freundlich und aufmerksam. Wir kommen auf jeden Fall nächstes Jahr wieder. Die Lage ist fantastisch gelegen, etwas außerhalb, aber trotzdem noch Zentral zu allen Richtungen. Und trotz Flughafen in der Nähe, hört man sie bei geschlossenem Fenster nicht. Wir haben sehr gut geschlafen. Petit déjeuner excellent, les oeufs brouillés toujours bien. La disponibilité du personnel, le cadre magnifique et l emplacement de l hôtel. 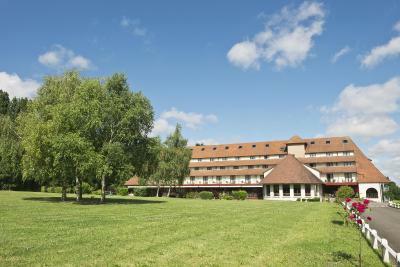 Located in a 6-hectare park, Best Western L’Oree is 5.6 mi from Massy and 12 mi from Porte d’Orleans and Paris. 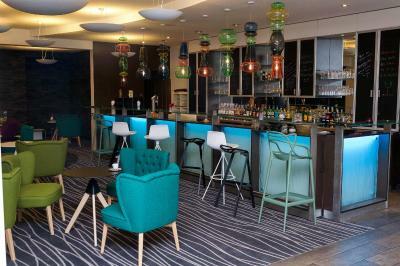 The eco-friendly hotel offers a spa, tennis courts, a volleyball court and bicycles. The guest rooms feature a flat-screen TV, free WiFi and a free courtesy tray. A buffet breakfast is served daily at the property. 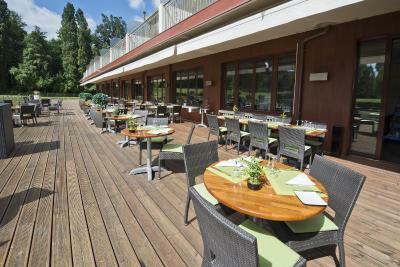 The hotel’s restaurant, serves a homemade "bistronomique" cuisine. 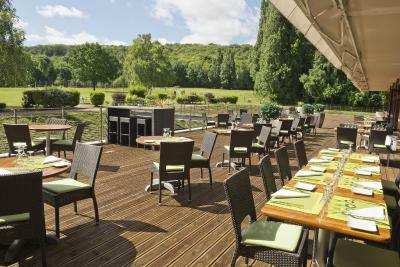 In the summertime, you can enjoy your meals on the terrace, which has views of the surrounding countryside. The spa facilities at Best Western L’Oree include a hammam, sauna, indoor pool and beauty and body treatments. Room service is available at a surcharge. Massy TGV Train Station is a 13-minute drive away and Paris-Orly Airport is located 11 mi from the property. Free private parking is possible on site. This property also has one of the top-rated locations in Saulx-les-Chartreux! Guests are happier about it compared to other properties in the area. This property is also rated for the best value in Saulx-les-Chartreux! Guests are getting more for their money when compared to other properties in this city. 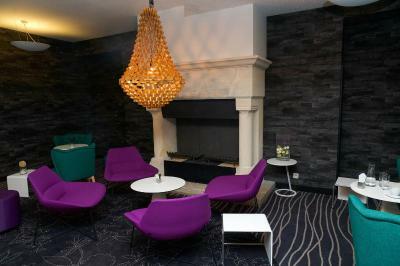 When would you like to stay at Best Western L'Oree? House Rules Best Western L'Oree takes special requests – add in the next step! Best Western L&#39;Oree accepts these cards and reserves the right to temporarily hold an amount prior to arrival. Best Western L'Oree accepts these cards and reserves the right to temporarily hold an amount prior to arrival. All requests for room service will incur an additional cost. Please note that the restaurant is closed on Saturdays for lunch and on Sundays for dinner. It’s a good way from Orly airport, but still worth it. Unfortunately, no air condition but we could open the window as it is dead silent at night. So no major problem. Restaurant terrace below the balconies could be bothersome as some guests like to sit and chat even after midnight. Large clean rooms. Beautiful location. Breakfast was terrible paying 16 euros for bowl of cereal isn't ideal but you're in the middle of the country so not much choice. Not many places to go around. I left an item behind in my room when I checked out. I called the hotel that evening to report it but I found the person I spoke to on the reception desk unhelpful. Seemed to be not interested. Dinner was terrible. We both took the "specials" starter and main course which turned out to be not special at all. The chef must have been having a very bad day. One more dinner like that and we will have to find somewhere else to stay. The starter was a lobster bisque, which arrived cold. We asked if it was supposed to be cold and were told no. So we sent it back. Second time, it was tepid. So we sent it back. 3rd time it arrived hot. (microwaves are convenient?). All this took 20 minutes. Not good enough BW.